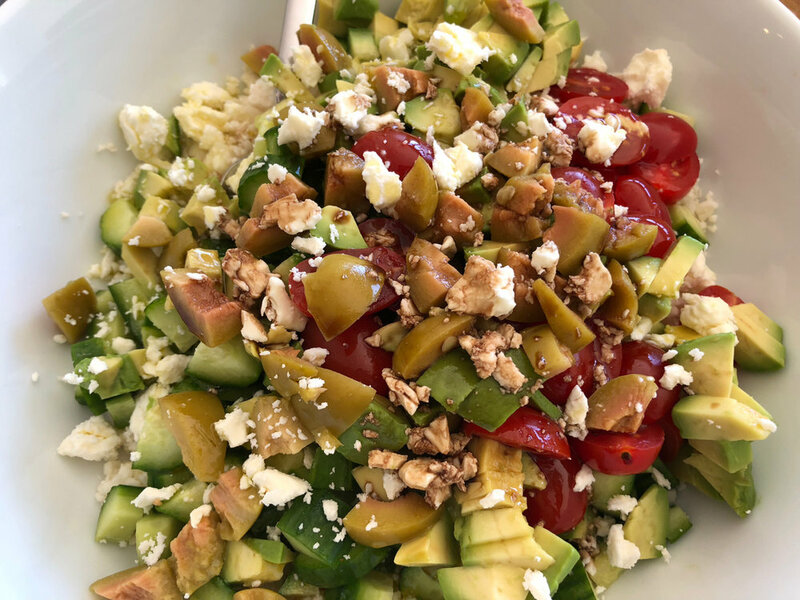 Smashed Cucumber Salad with Za'atar and Feta — Ginger writes. I have made four new recipes, all sides, in the last week. It's been a nice variation from roasted broccoli, roasted kale, roasted green beans, and the two green salads that are on rotation at our house. Ironically, three of the four new recipes are from a book on fasting. Maybe compared to not eating, any recipe would be good, but all of these were actually good enough that I'll make them again: Roasted Cauliflower Rice; Mustard Green Beans; and Tomato, Cucumber, and Avocado Salad. Below is the salad on top of the rice, which was yesterday's lunch. The two recipes were not meant to be combined in this way, but I couldn't resist using the leftover cauliflower as a base for the salad. And neither can I resist flaunting this quote, which I love and which I never thought I'd possibly have the right opportunity to use, but this is it! The fourth new recipe is one my sister shared with me recently. From time to time, she emails me links to recipes she finds and likes, and I'm always keen to take her advice. 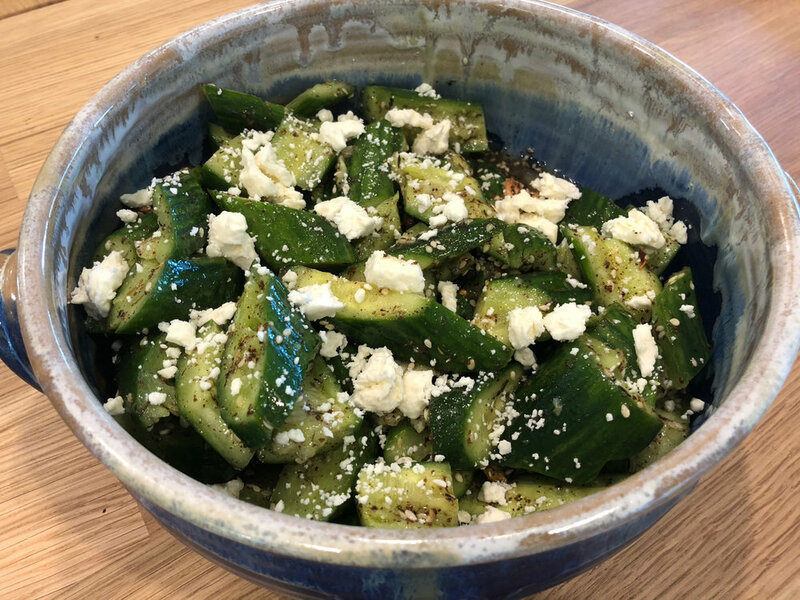 This one is from the Bon Appetit website and is called Smashed Cucumber Salad with Za'atar and Feta. Prior to this recipe, I had not heard of the za'atar spice, nor did I realize it would be hard to find. Neither Walmart nor Publix nor Trader Joe's had it; I didn't check Whole Foods. 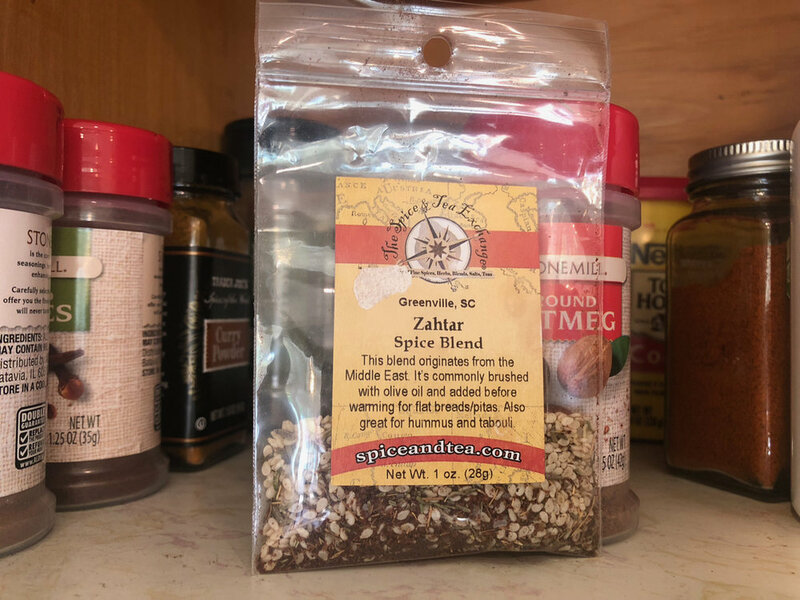 I was finally able to find za'atar, or zahtar as they spelled it, at a spice and tea store in downtown Greenville, so I sent TJ on an errand to buy some. My sister told me the za'atar is the key ingredient of the salad, so I didn't want to make the salad without it. Once I realized how expensive it is, I can see why one might make the salad without it. I suppose you can't call it Smashed Cucumber Salad with Za'atar then. At the spice store, they charge $4.89 for 1 ounce, but maybe online I could find it cheaper. The recipe calls for 2 Tablespoons of za'atar, which is about the same as 1 ounce. I tweaked the recipe to only use 1 Tablespoon of the spice, and the salad still had plenty of the unique flavor. 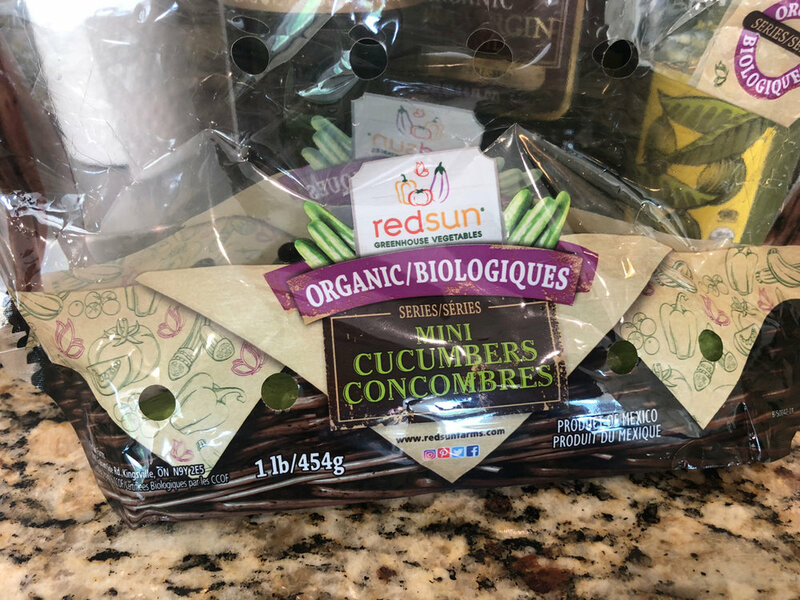 Besides the excitement of trying something new, I was also motivated by the fact that last week at Aldi, the organic mini cucumbers were on sale. I bought several bags for the kids to eat and for use in this salad. At dinner that night, as we were eating the new salad, along with the Roasted Chicken with Squash and Radishes, TJ commented that it felt like we were eating restaurant food. That made me thankful and happy for the effort I put into tracking down the za'atar. You could always go the simpler route and just have everyone eat the plain mini cucumbers, but if you did that, you would miss the fun of smashing the cucumbers on your cutting board, getting to say you know what za'atar tastes like, and having someone say you cook like a chef.